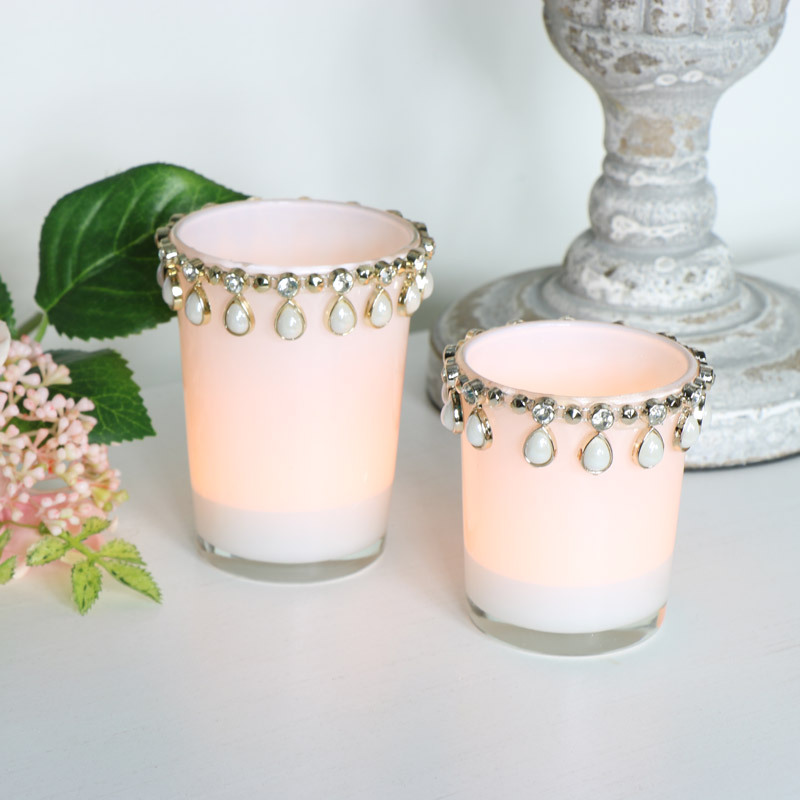 Add some glam sparkle to your decor with these stunning tealight holders. In a pair, large and small, for holding tealight candles. Perfect for creating a spectacular wedding table or simply for your home. White glass cups decorated wit diamante and faux pearl held in a gold circlet. These arae the perfect candle holders for adding a sense of grace and luxurious style to your home. These would make a great gift idea, use as the pair or individually to suit your decor and sense of style. 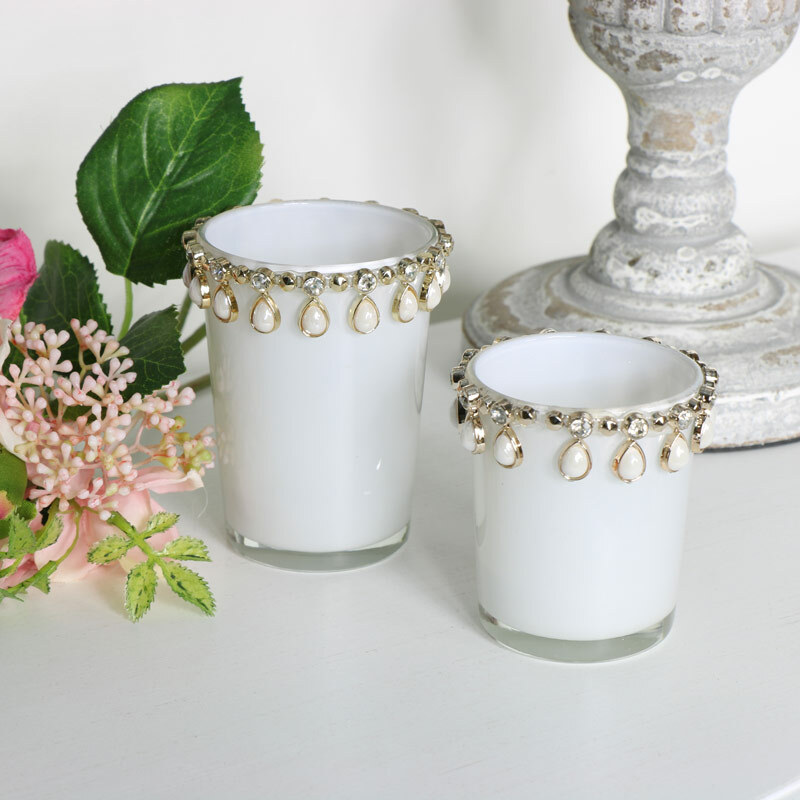 Add some glam sparkle to your decor with these stunning tealight holders. In a pair, large and small, for holding tealight candles. Perfect for creating a spectacular wedding table or simply for your home. White glass cups decorated wit diamante and faux pearl held in a gold circlet. These arae the perfect candle holders for adding a sense of grace and luxurious style to your home. These would make a great gift idea, use as the pair or individually to suit your decor and sense of style.